Meet in front of Cafe Bookshop, Depart at 12.30 hours Return back circa 16.30 hours Total walk length: circa 11 km (7 miles) Walk leaders: Diane and Alan (School of Engineering) Please wear appropriate footwear and clothing for a walk on country footpaths – it is likely to be muddy. Stop for refreshments at Caldecotte Arms Transport: car sharing – Please let us know whether you require transport or have available spaces in your car to offer. Canal – river – lakes is the theme for tomorrow. 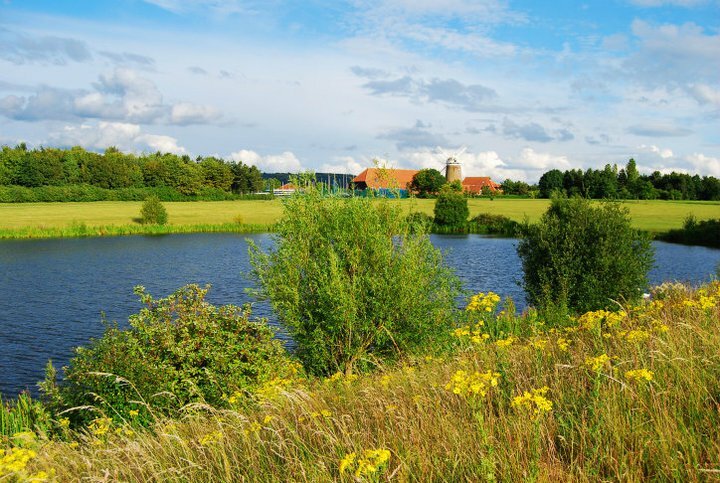 The adverse weather has changed our plans yet again – a walk at Woburn Abbey grounds is now being postponed and instead we are going to go for a walk along the Grand Union Canal and river in Milton Keynes, pass the Caldecotte and Willen Lakes. Caldecotte Lake during our visit last year – will we get some sunshine tomorrow? © Cranfield University Walks, 2011 – 2012. This entry was posted in Blog, Walks and tagged Caldecotte Lake, car sharing, Grand Union Canal, Milton Keynes, walking, walks, Willen Lake. Walking in Wales: Cranfield University students jump 4 joy!